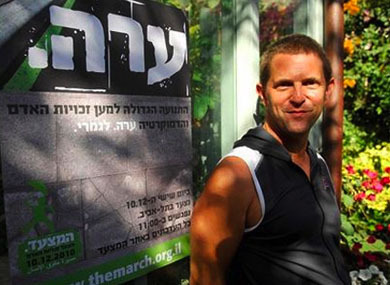 Dori Spivak, a lawyer and the former chairman of Israel’s Association for Civil Rights, (ACRI) was named as a judge for Tel Aviv's Labour court on Sunday, becoming the country's first gay judge. Spivak, a Harvard graduate who lectures in Tel Aviv University’s law department, has been involved in several high profile gay rights cases, according to TheJC.com. In 1997, he was involved in landmark case in which the Supreme Court forced a state channel to broadcast a program about gay teenagers. A lawyer for ACRI, Dan Yakir, told Israeli newspaper Ynet that the appointment would "contribute to developing human rights."